Well, it’s not all serious sticks over here at The Book Habit. And, in celebration of the weekend, I thought that I would pay homage to one of the literary greats. Yes, that’s right. John Lennon. Truly, if you don’t find me with my head in a book or giving highly informative tours about the quirks of the British aristocracy, you will likely find me spinning my old-school vinyls on my enormous record player. Because I am indeed 25 years old and seriously with the times. To anyone who has, like me, felt their brain go scrunchy while listening to ‘I am the Walrus’, it will not be a surprise that John Lennon spent his childhood immersed in the creative outputs of Edward Lear and Lewis Carroll. 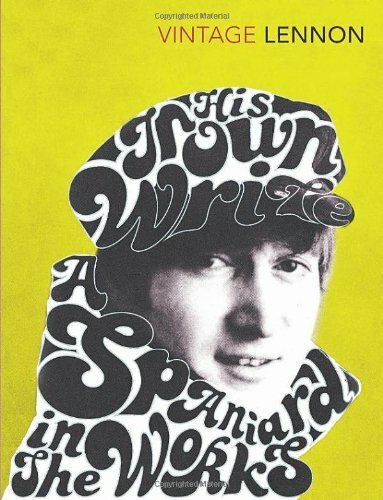 And in addition to creating some of the best music and seriously working the circular spectacles (before Harry Potter was even a whisper of a thought), John Lennon has produced some of the funniest poetry since Lear’s ‘Nonsense Songs’. I couldn’t see at all. to find such wondrous voice. I hear but have no choice. ‘I know you hiddy by this tree’. But still she won’t come out. and still no lady show. that sing with all it’s might. ‘I thought you were a lady’. got up – and flew away.